Enterprises around the world are embracing cloud, mobile, and Internet of Things (IoT) technologies to decrease complexity while increasing business agility, empowering their distributed workforces, and gaining operational insights. A growing amount of critical enterprise network traffic is moving off private IP networks and on to the public Internet via wired and wireless broadband. At the same time, workforces are becoming more and more geographically distributed. The effect is that the LAN is being replaced by the WAN—people, places, and things require secure, fast and reliable connectivity no matter their location—and businesses face challenges meeting these increasingly complex demands using legacy solutions. Cradlepoint’s NetCloud platform combines our Edge software and cloud services (Enterprise Cloud Manager) with SDN, NFV, SD-WAN and a host of other technologies to provide a converged, next-generation WAN with an embedded security perimeter that addresses this new era of “Interprise” broadband networks. 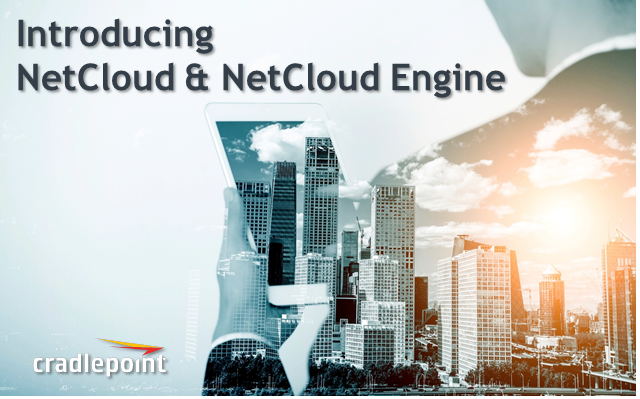 Join us for a webinar to learn more about Cradlepoint NetCloud and NetCloud Engine to improve productivity, reduce costs, and enhance the intelligence of your network and business operations.